This article is about several old, DOS-based games that I'm once again able to play (and enjoy), thanks to DOSBox. If you have no idea what I'm talking about, you might want to read my article DOSBox - DOS is back! first. I will create sequel articles as I experiment with more potential candidates, time permitting. Some of these candidates will be reviewed in the Computer games section. Note: For best effect when playing CPU-intensive games, like First Person Shooters, it is advisable to increase the number of CPU cycles used by DOSBox (Ctrl + F12). The default is 3,000 cycles; I would recommend 12,000-15,000 for smooth gameplay. However, be aware that the best performance you will get ultimately depends on your hardware. Going for too many CPU cycles will eventually cause a slow-down. 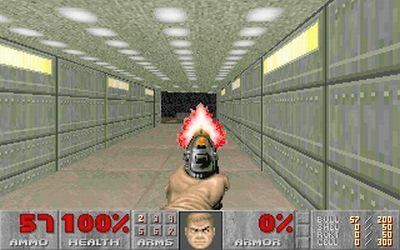 Doom 2 in an institution in what became to be known as the 3D First Person Shooter. The game has a well-balanced plot (i.e. kill), decent graphics, and a whole lot of levels to complete. There's a multiplayer option, too, for extreme male bonding during LAN parties. 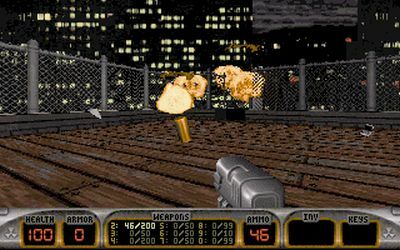 Like many FPS games, the player can carry an abnormally huge load of weapons, including classics like chainsaw and BFG9000. Duke Nukem 3D is another FPS classic. 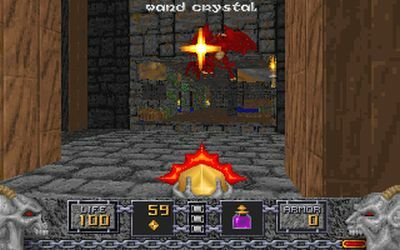 Conceptually, it is similar to Doom, only the graphics are better and the maps are much more complex, with many more hidden and puzzle obstacles that the player must discover in order to complete different levels. Duke Nukem 3D is rich with "adult" humor, which makes the game all the more fun. The game has a very unique assortment of weapons available and is one of the more refined FPS ever made. Heretic is yet another kill-'em all game. On the gameplay level, it does not differ much from Doom or other FPS games from that period. But there's a nice twist. You are fighting D&D style monsters in a magical world. The atmosphere is quite somber. Archaic touch adds to the feeling of doom and despair that makes fighting the evil creatures all the more enjoyable. 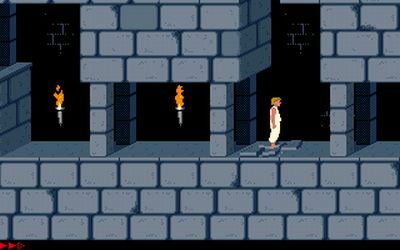 Prince of Persia is a classic little game. And like all classics, it's a devil to play and complete. The player has only 60 minutes to complete 14 levels, each of which is a maze with lots of drops, spike traps, guillotine-enriched corridors, Vizier's guards, and whatnot. It is very fun to play, even after one manages to pass all the levels the first time. A definite must for anyone born before 1981. 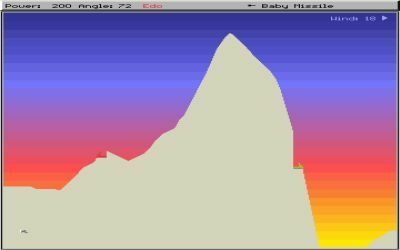 The Mother of All Games is very simple yet hugely popular, even today. A player can choose to fight bots or up to 7 of his friends, taking their turns in aiming little tanks on a 2D map against one another. Players earn cash by winning rounds, which allows them to buy fancy shields and weapons, the range and color of which has yet to be surpassed in the PC world. One of the special traits is seeing your friends blow up in 80 different ways. Aliens have started invading Earth. As the commander of the Extraterrestrial Combat Unit, or XCOM, you are responsible for the defense of the planet. You must build bases, recruit soldiers, conduct research of alien technologies, manufacture hi-tech gadgets, run a solid budget, and finally fight evil aliens in turn-based fights. 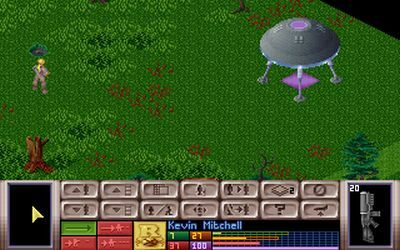 UFO: Enemy Unknown is unique in having both strategic and tactical gameplay, as well as being dark, realistic and fun. That's it for now. Hopefully, you have saved all these great oldies on a CD and kept them for a rainy day - or when a great DOS emulator comes by. I'll keep you updated with more games as I try them. In the meanwhile, perhaps you could try to revive your childhood.